Today, modern technology has given numerous benefits to you. With the help of the latest technology, you can do various things. If you are a concerned parent, then now you can have peace of mind by using parental control iphone apps. With the help of these apps, you can monitor your kid's each and every activity remotely without giving any indication to your kids. These monitoring apps are very beneficial to the parents who want to sure that their kids are not involved in any wrong activity. If you are looking for the reliable and robust iphone 7 parental controls app, then your hard search ends at one app which is FamiSafe. The FamiSafe Parental Control tool is one of the best monitoring tools that you can have in your iPhone 7 and iPhone 7 Plus devices. This incredible software will help parents to control their kid's unwanted activities remotely. Nowadays, there are many Cyberbullying activities on the internet. To protect kids from these types of activities, the Famisafe iphone 7 parental controls software is an ideal app for parents. 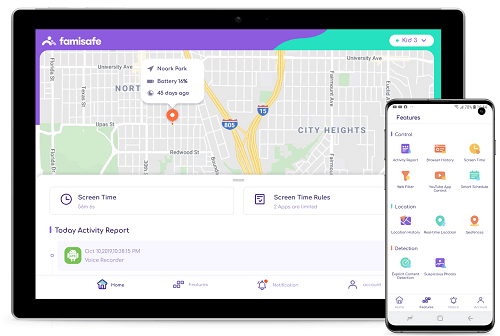 Monitor Exact Location: With the help of software, parents can track the exact or live location of their kids at any time. So, parents can alert them if any risk involved in their location route. For this feature, the FamiSafe is one of the efficient parental control apps for iphone. Monitor Browser History: The Famisafe software allows parents to track the browser history of their kid's device. Through this feature, parents can know what type of activity their kids do on the internet. Block Apps: Parents can also block the desired apps as well as the websites on their kid's device remotely. If parents think the apps that are installed on their kid's phone is not good for their kids, then they can block apps secretly. 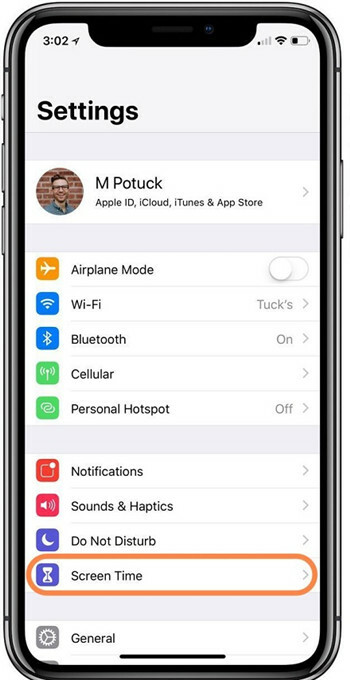 How to set parental controls on iPhone 7? To commence the process, you first need to install a software on your device as well as your kid’s device. So, go to the iPhone “App Store” and search for the “FamiSafe”. Then, download the app on both devices. 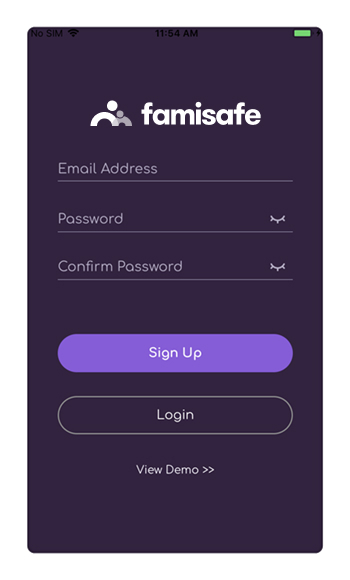 Now, you need to create an account on the FamiSafe. To register an account, you can use either your device or your kid’s device. Now, you Sign-in into your FamiSafe account, complete the setup process to start monitoring. 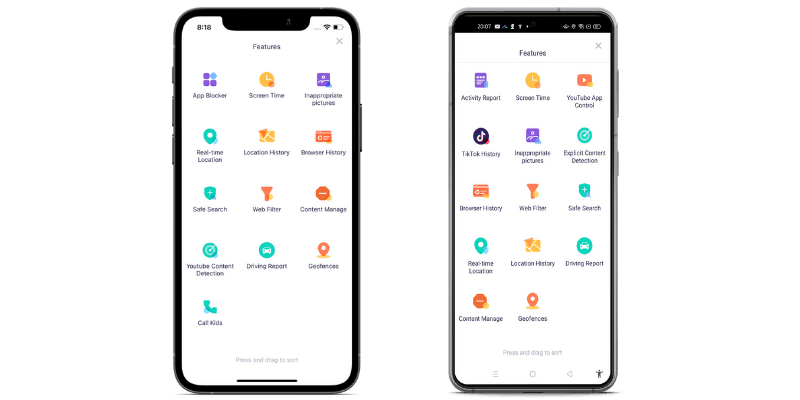 The app will ask for some necessary permissions, grant all permissions for the proper working of the app. 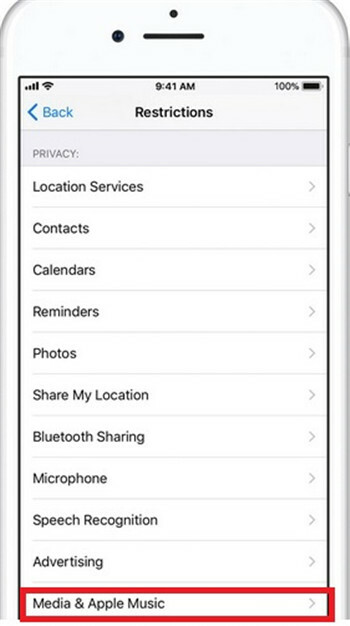 Eventually, also give access to the location to track your kid’s location. Now, connect your device with a kid’s phone by login with the same account into FamiSafe on your device. Finally, you can block unwanted website and games during your kid’s study time. Step 1: Open the “Settings” option and then, go to “General”. Step 2: In “General”, you will see “Restrictions” option and enable that option to set restrictions. 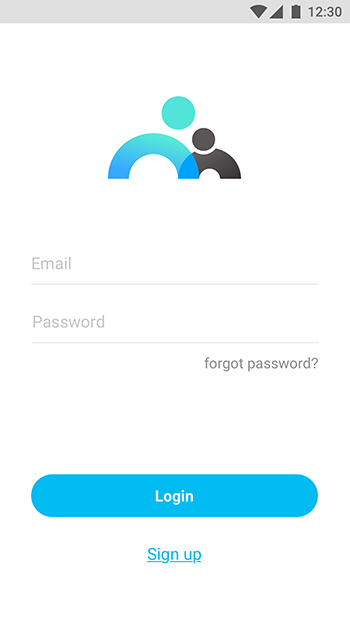 Step 3: Now, it will ask for password and create a simple password as in future if you want to off restrictions, then you need to remember the password. Step 1: Open “Settings”, then “Restrictions. Step 2: Click on “Privacy” from Restrictions”. 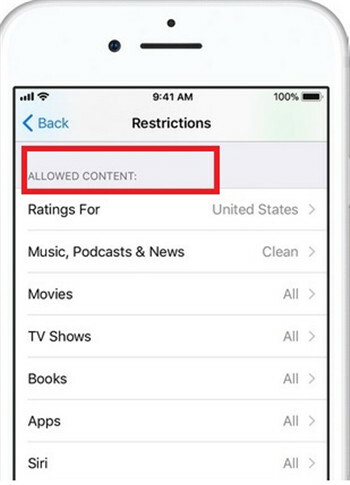 Step 3: Now, you can restrict apple music and many other apps. Step 1: Open “General” from the “Settings” option. Step 2: Tap on “Restrictions”. Step 3: From the app list, disable those apps that you want to restrict. Step 1: Click on “Restrictions” option from the “Settings” menu. Step 2: Tap on “Allowed Content”. Step 3: Now, you can block apps, content or websites. Step 1: Click on “Settings”, then “Restrictions”. 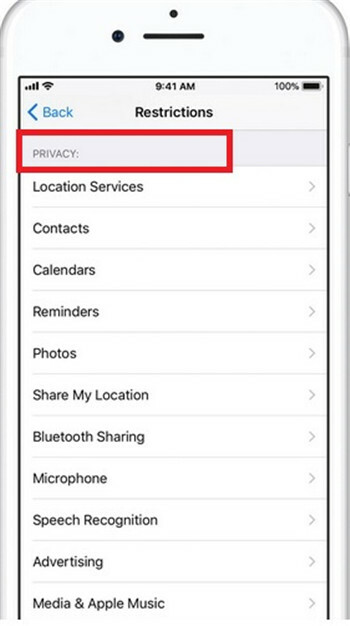 Step 2: Tap on “Privacy” and select the desired apps that you want to restrict on your kid’s device. Step 1: First Tap on “Settings”. Then, “General and finally “Restrictions”. 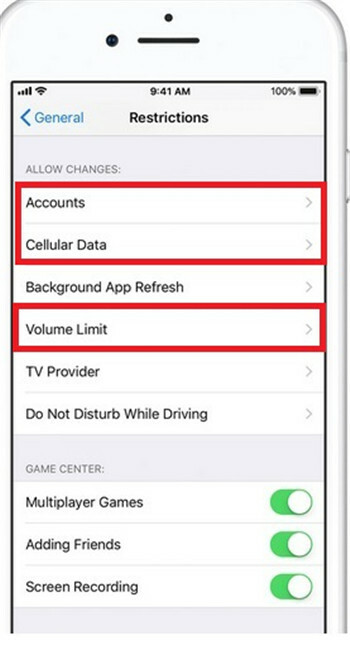 Step 2: Now you can restrict accounts, volume control, and data use by clicking on it. Step 1: Tap on “Settings”, then click on “General”. Step 2: Now, tap on “Restrictions”. 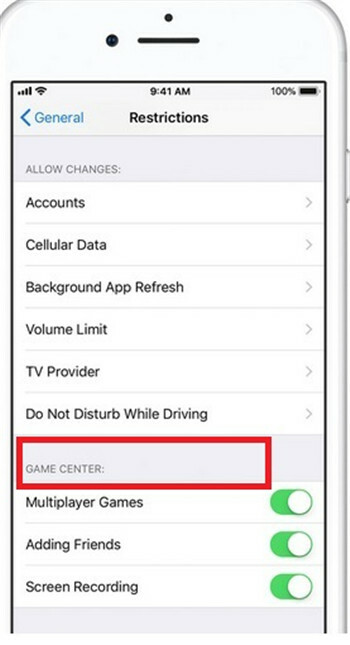 Step 3: You can restrict “Game Center” as shown in the figure. 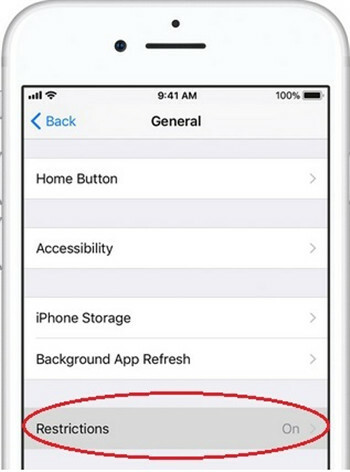 Now, parents can get benefit from the new amazing features of iOS 12. 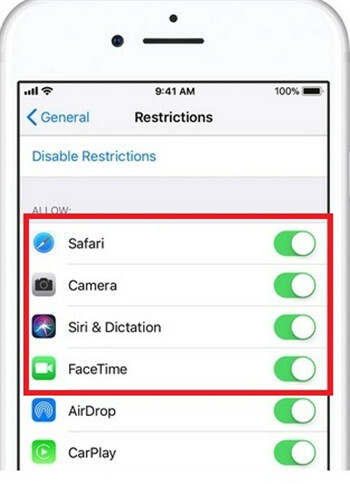 On iOS 12, the parents can restrict or track their children activities by enabling new features that are available on it. 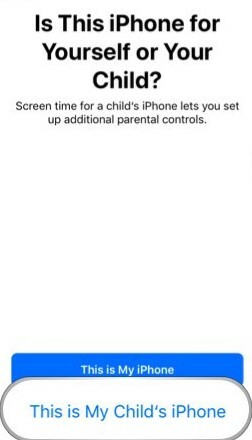 The parental control iphone features on iOS 12 have now changed from the previous iOS versions. With these new features, parents can set a time limit on the apps. 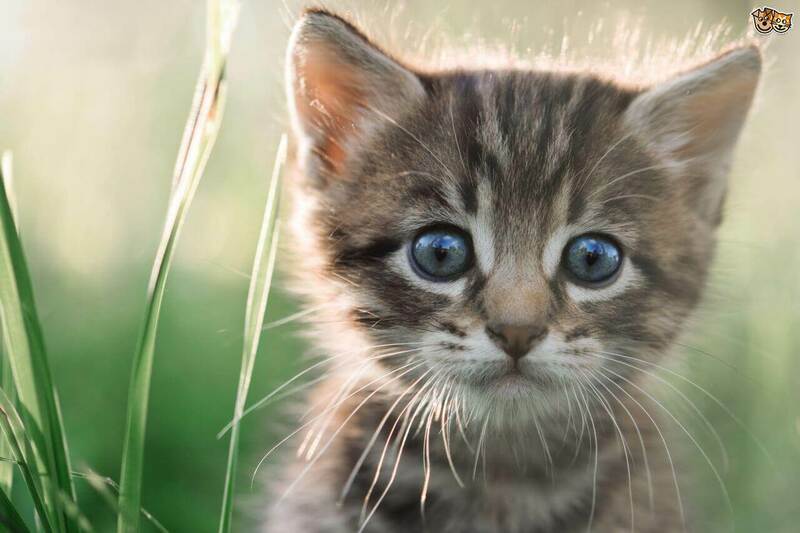 Parents can also restrict specific content and websites. Step 1: First, tap on “Settings” and click on “Screen Time”. Step 2: Now, click on “Set Up as a Parent”. Step 3: Finally, you can restrict the content and change privacy on your Kids device. 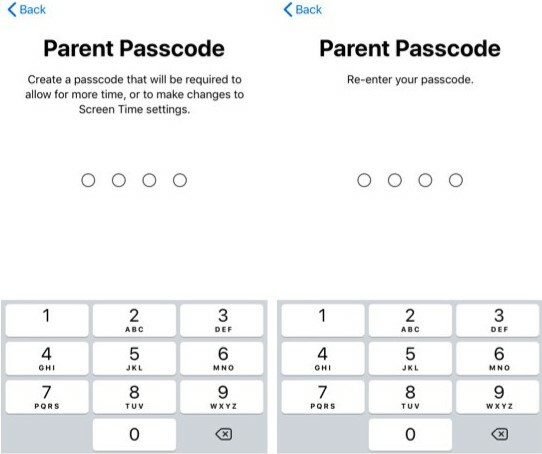 You can also make a parent passcode to alter settings in the future. The FamiSafe is one of the ultimate parental control apps for iphone. In this digital world, cybercrime is increasing day by day. Today, kids do various things on the internet. So, in order to protect kids from the cybercrime, parents should download the free FamiSafe software on their iPhone or android device. Among various parental control apps for iphone, the FamiSafe performance is better.